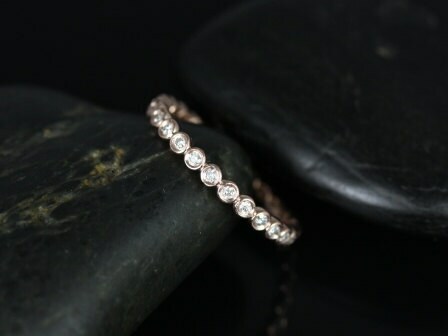 Metal available: 14kt Rose Gold (as shown), 10kt/14kt/18kt white gold, 18kt rose gold, 10kt/14kt/18kt yellow gold ,platinum. Could not be happier with this ring. 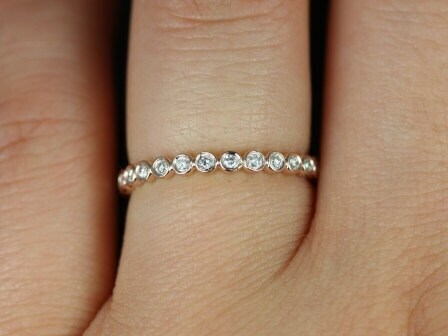 I was worried it would be too small, but it is just the right size next to my engagement ring. I can't wait to wear it! 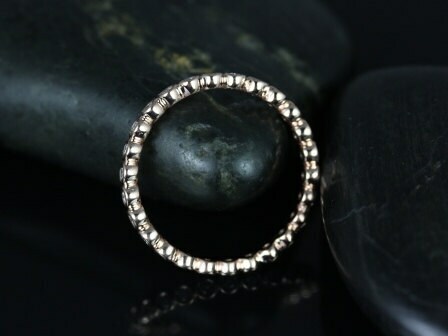 Beautiful ring and so delicate. I am very pleased with the result. I got this ring in a white gold instead of the rose and I love it so much! 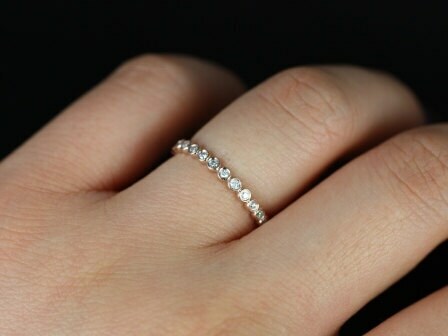 Its so petite and has such a feminine feel. Perfection. Ring exactly as I wanted/pictured it. Excellent communication and service. Highly recommend this vendor!!!! 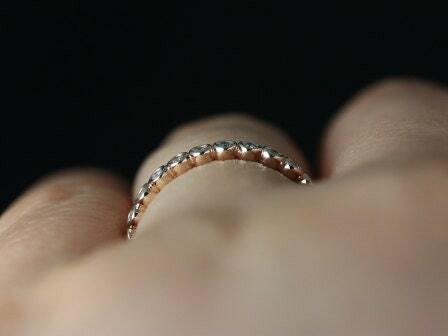 The rings have Wonderful detail and Beautiful. I especially appreciate the seller being so accommodating for shipping them to me.